T is my little guy’s best bud. He is a blonde blue-eyed version of my guy. It was kismet the first week they met in nursery school T had on Lightning McQueen sneakers and one sight of that fabulous footwear, my son was done. It helps a whole lot that T’s mom and I have become good friends. There is rarely a week that our boys are not together. They literally go through withdrawal if they haven’t been together. 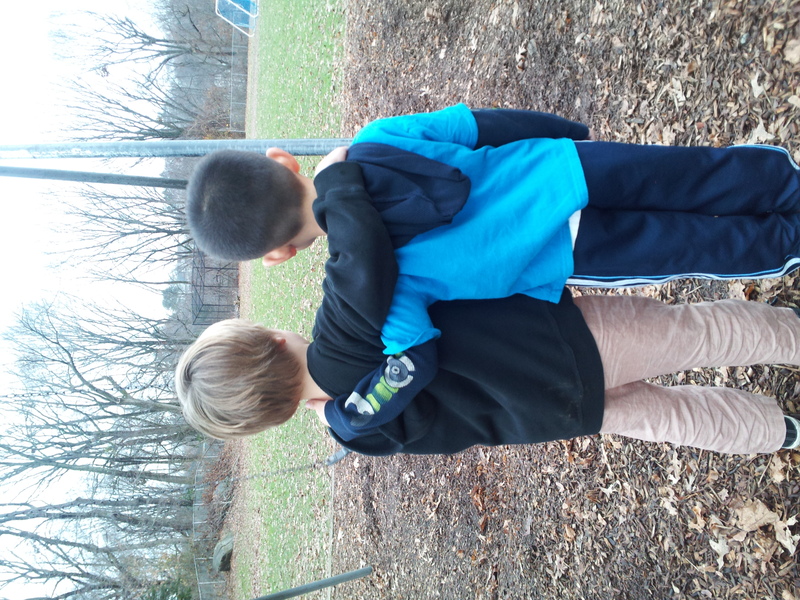 Being in the same class and having additional buddies to play with does not count for the alone time they need just being with each other. It is wonderful and I am so happy for my little boy that he has someone to grow with who is understanding, tolerant and so excited to see him. I am grateful to T’s mother for letting me in. She caught me at a weak and weary moment, just a week into the arrival of my birthmother and brother. She stood with her four kids in tow empathizing with me on how hard it must be to have a full house. Ironic as she is never without her children and someone else’s child(ren) and a regular flow of houseguests. She literally has her door open to anyone. These days, that’s a rarity and speaks volumes of her character. She showed me patience where others just listened as if I had a great story and walked away. And she took my son in when I needed a break. There has been no standing on ceremony or “getting to know you” period. It just happened. Who knew friendships could begin so easily. Navigating motherhood during the school years is no easy task. Making friends with other mothers is sweat provoking. Entering a new social situation with so much at stake feels like middle school all over again. Truth is, who we are when we are 5 or 6 is not all that different from who we are now. I think we tend to regress to our childhood self in stressful situations. Only now, it’s not about us anymore. 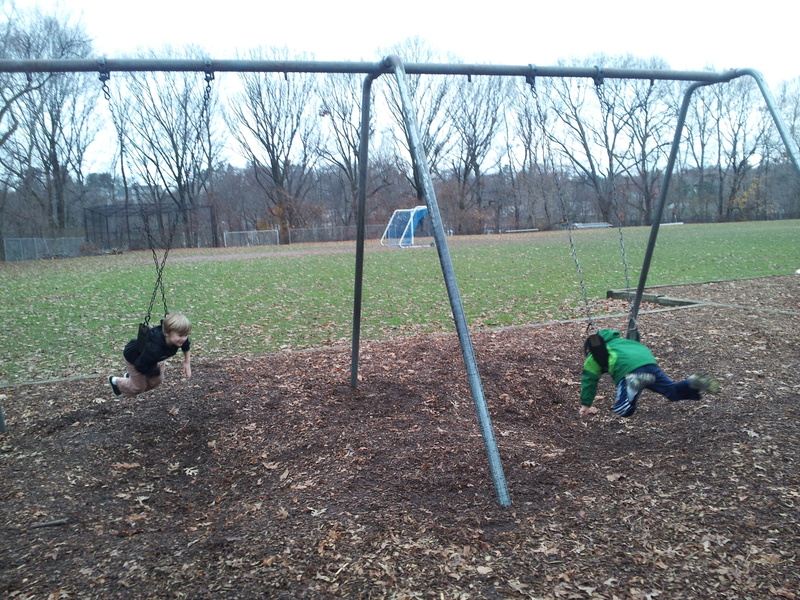 I watch my kids as they navigate the playground and am vigilant to see who they gravitate toward, who brings out their better selves and who doesn’t. I find myself wanting to lurch and wisk my kid away at any chance they might make a social faux pas and be the kid who gets teased, scapegoated or abandoned. But that’s me, not them. I am constantly schooled by them as they comfortably run around confident that they are right where they should be. I could chalk it up to a great school district, but I hope that it also means that the parenting department is steadly doing a decent job too. I was given the advice to find just one mother in nursery school to become friends with. I was lucky, I found three, two when my big one was 3 and now T’s mom. These are women who share my values of family and give me a sense of security as I navigate without a GPS this quagmire of motherhood. I am loyal to them beyond and it has reaped rewards of kindness, love and compassion in ways I could never have imagined. They have mothered me in a way and allow me to care about them too. This sort of reciprocity is not only extremely practical but has allowed for a safety net my boys take for granted. We have been friends for years now and I can’t imagine these women not in my life. As adults we create family through birth, adoption, friendship and need. No matter how often I wish for the past to be different, I am living the life I want now. The family I seek is here.